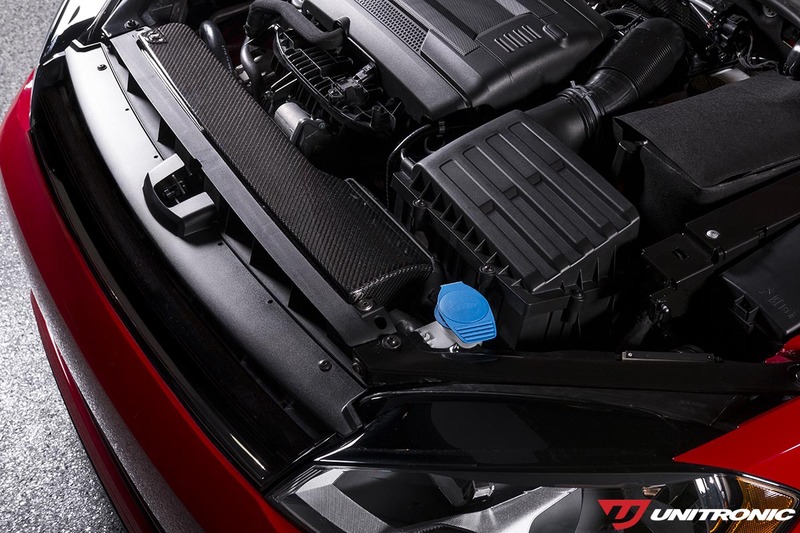 With extensive background in engineering the finest in Performance Software, Unitronic developed an air duct that maximizes performance of vehicles equipped with the 1.8/2.0 TSI Gen3 (MQB) engines and Unitronic's Carbon Fiber Cold Air Intake System. This translates into an Air Duct that provides increased power and air flow by taking advantage of both air inlets available in the OEM grill. 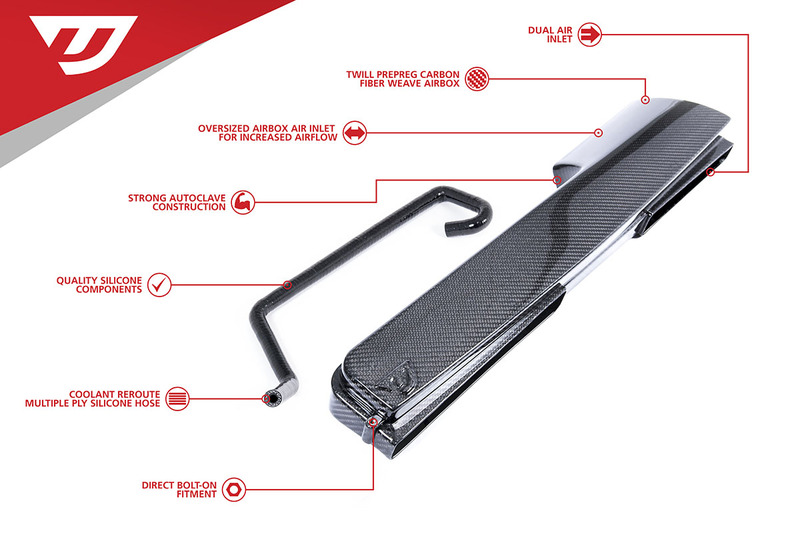 To learn more about the performance benefits of our Carbon Fiber Air Duct Click Here. Unitronic specifically developed its air intake system to provide increased power, air velocity, and throttle response, while also decreasing air intake temperatures and turbo lag. Take advantage of both air inlets available in the OEM grille and benefit from an increased air flow. High quality material to give you a lightweight, durable and resistant airbox. 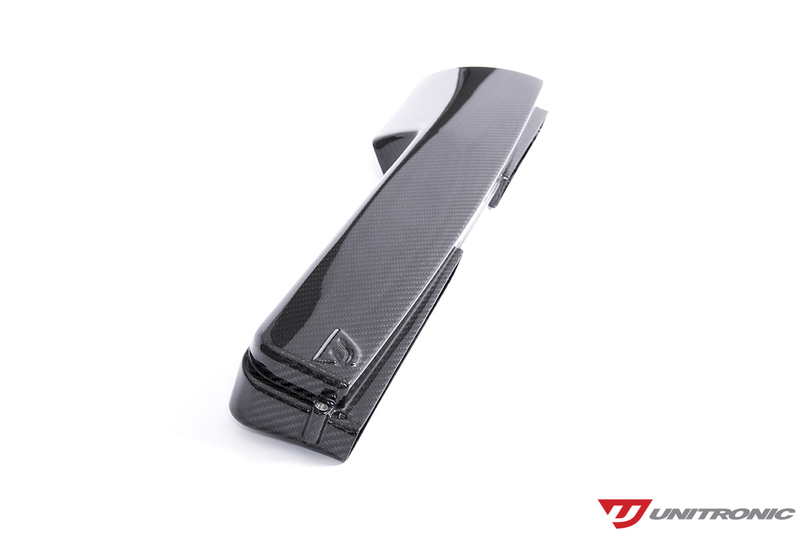 Airflow capacity is increased when combined with Unitronic’s Carbon Fiber Air Duct. The curing process is completed in an autoclave to eliminate resin voids thus ensuring a strong component. Heavy duty, heat resistant and durable 4-ply silicone hose will not crack or tear overtime. Get this silicone hose out of the way to enjoy the looks of your Unitronic Carbon Fiber components. Utilizes all OEM mounting locations. 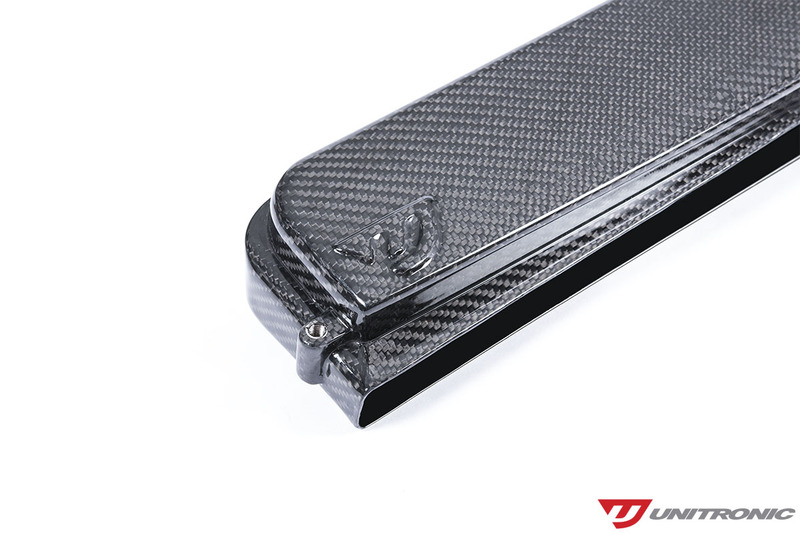 Unitronic's Carbon Fiber Air Duct can be installed with the OEM intake with some modification to the OEM airbox seal. 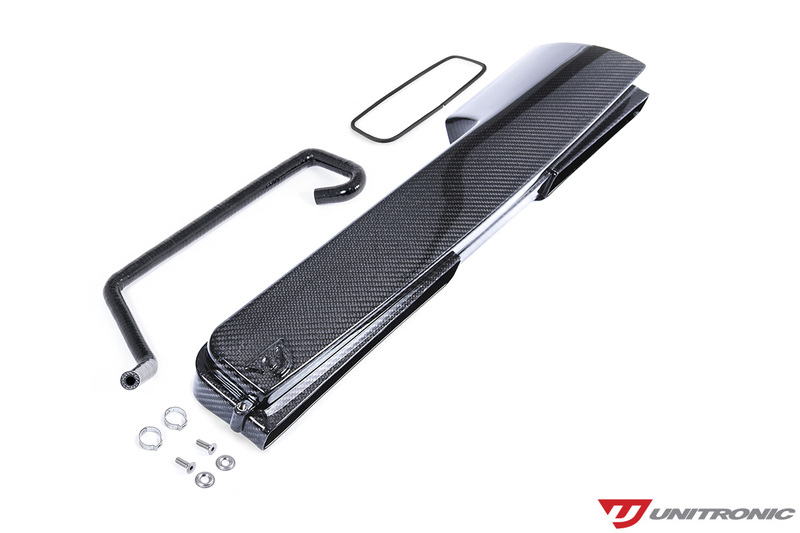 However, for maximum gains, it is recommended to install it with Unitronic's Carbon Fiber Cold Air Intake System.